Love this simply elegant, festive look for girls by Fendi for Fall Winter. 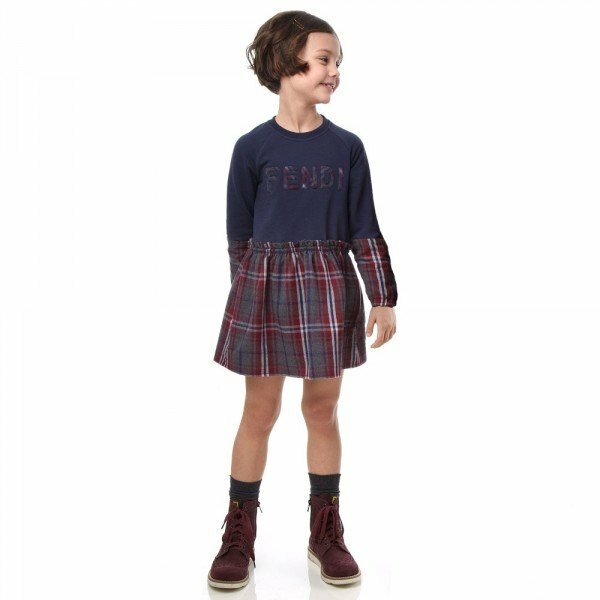 This girls navy blue sweatshirt dress by Fendi with a contrasting checked, brushed cotton skirt and sleeves. Complete the look with these super cool navy blue ballerina style shoes by Fendi, made in Italy from a beautiful soft suede leather. 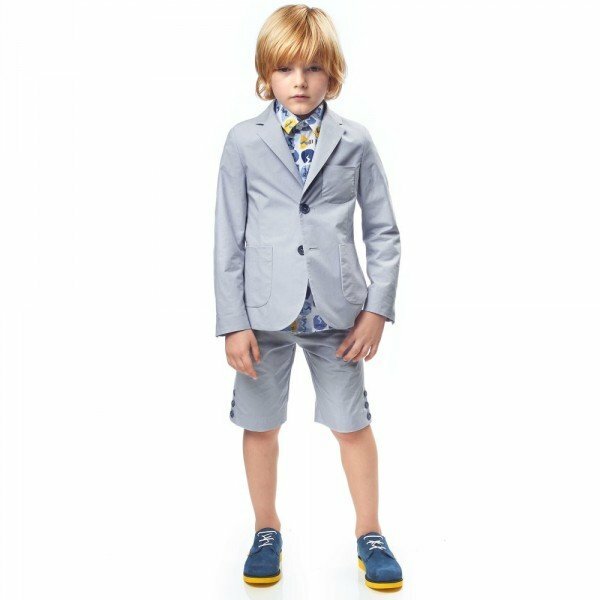 They have the designer's 'bag bug' eye motif and red real fur trim, with inspiration taken from the adults wear collection.